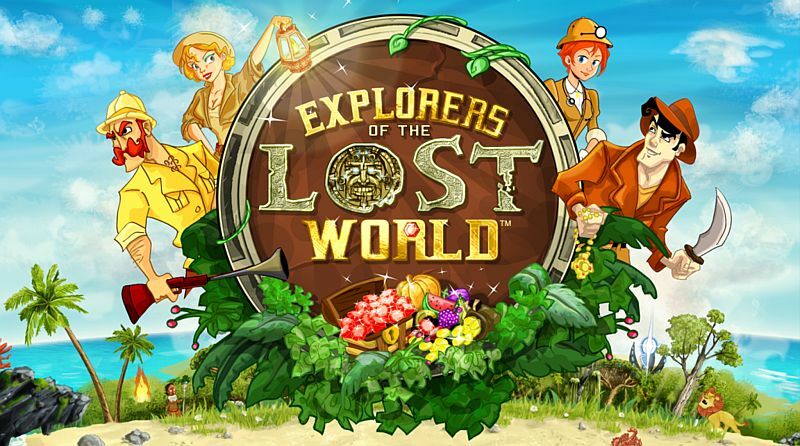 When a game challenges me to explore a mysterious lost world after my cruise ship goes to meet its maker, I am completely up for the job and this is exactly what Explorers of the Lost World does for iPhone and iPad owners. In other words, we’re talking about an amazing premise and all we have to do now is to see if it’s done masterfully or surviving this game is the real challenge. 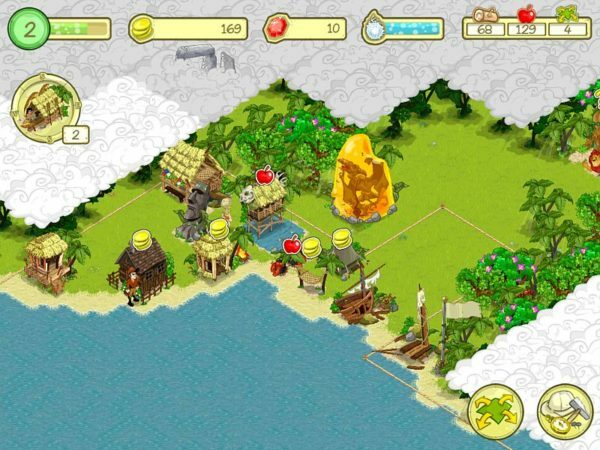 Explorers of the Lost World starts like any regular similar game: you wake up on the shores of the island and you have to rebuild. This is extremely easy, apparently, and the first thing you need is a hammock. From here to a completely cool land area filled with nice huts and all sorts of people inhabiting the island is just a little step and it really is up for you to work your way up to the ladder. 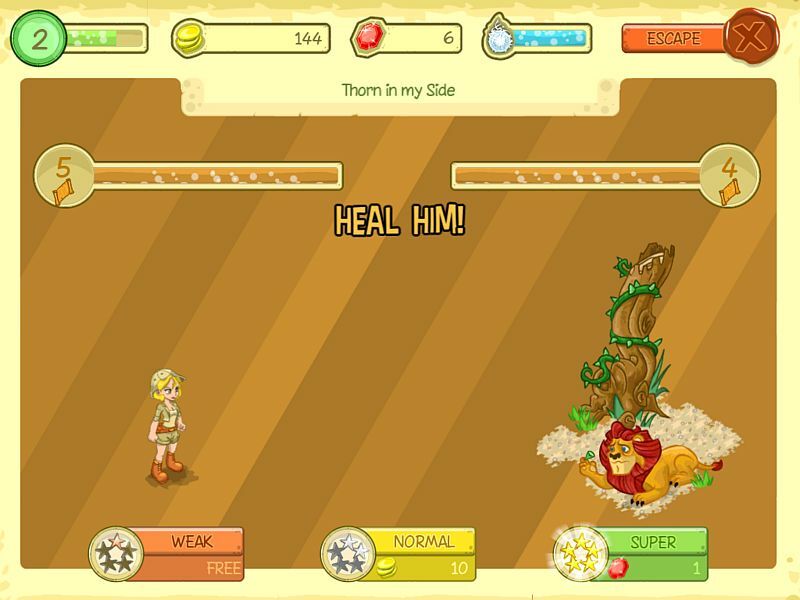 The twist compared to other similar games is that here you get to also explore this lost world (hence the name!) and for that you need coins and a tiny little bit of extra time. Under this fog you will usually find nothing but a bunch of trees, but here and there you will find some extra treasure or special items to interact with. The interacting bit is very… interactive (sic!) and that is done by using “attacks” – weak ones that are free and usually fail, normal ones that cost you regularly and use to fail often and finally, Super attacks that cost you premium currency and they never fail. It’s upsetting that you are rarely able to complete such a mission with not-premium attacks, but the developers have to make some money too. The bigger problem with these special items is that once found and completed, they can’t be moved and don’t bring any new story or cool thing with them, which makes them kind of pointless and worthless. Another problem of the game is related to the game economy – money is pretty hard to come by and there is a pretty limited number of buildings that you can build early on, making everything pretty boring in the end. Even more, you get stuck early on with a mission that challenges you to explore all the clouds on the map (which requires a lot of time and coins) and one that wants you to build a building that costs premium currency, so you’re kind of stuck in one place and this tends to make you wish to quit. The graphics manage to save Explorers of the Lost world a little bit, as they are clear and extremely nice, but everything else gives you hints of extreme boredom coming ahead.